Rep. Alexandria Ocasio-Cortez is standing by her opposition to a deal that would have seen online retailer Amazon build its new headquarters in New York, despite the loss of an estimated 25,000 jobs for the city. Due to vocal resistance from "a number of state and local politicians” and activists opposed to the $3 billion in incentives offered to attract the company, Amazon in February announced that it was abandoning plans to build in a Queens neighborhood, part of which includes Ocasio-Cortez’s district. "While polls show that 70 percent of New Yorkers support our plans and investment,” Amazon said in a statement, “a number of state and local politicians have made it clear that they oppose our presence and will not work with us to build the type of relationships that are required to go forward with the project we and many others envisioned in Long Island City." 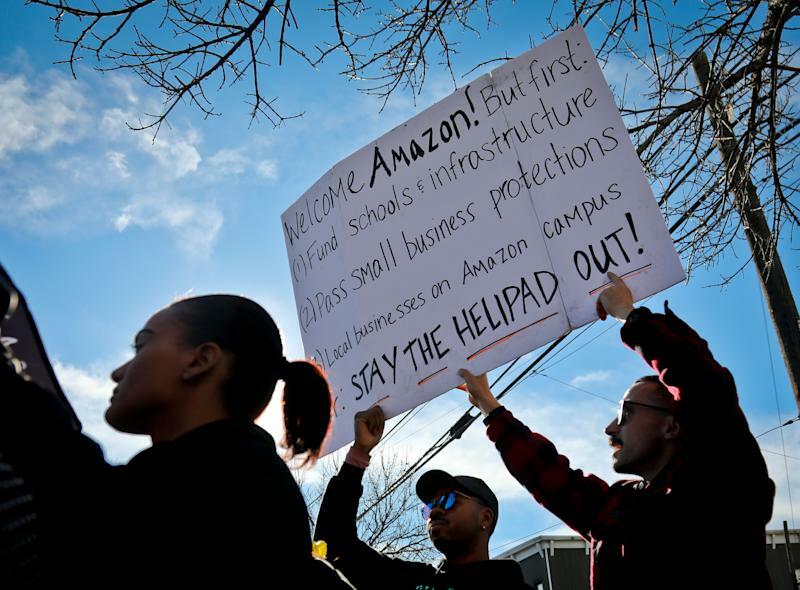 According to a recent poll, 57 percent of voters in Ocasio-Cortez’s district said Amazon’s decision to cancel the deal was bad for New York, and 58 percent would like to see the deal revived. “I don’t regret opposing it and vocalizing my apprehension about this deal because it smelled fishy,” said Ocasio-Cortez, who also noted her surprise that her own “five tweets” were enough to quash the plan. A self-described democratic socialist who criticized the tax breaks the city offered Amazon by the city, Ocasio-Cortez faced fierce criticism over her portrayal of the deal. There is a financial literacy epidemic in America. Quick lesson: NYC wasn’t handing cash to Amazon. It was an incentive program based on job creation, producing tax revenue. There isn’t a $3 billion pile of money that can now be spent on subways or education. But Ocasio-Cortez her critique of the incentives wasn’t meant as an all or nothing proposition. “I was open to multiple possibilities,” she said. To win the nationwide competition for Amazon’s new headquarters, New York offered incentives that included $505 million in a capital grant and $897 million from the city’s Relocation and Employment Assistance Program. Days after Amazon pulled out of the deal with the city, New York Gov. Andrew Cuomo blasted Democrats like Ocasio-Cortez over their opposition. “What happened is the greatest tragedy that I have seen since I have been in government,” Cuomo, who tried in vain to salvage the deal, told WAMC radio. Ocasio-Cortez disagrees with the governor.